What sets Sawadee's rendition of the classic Thai steamed fish apart from other establishments is its sauce. Comprising a delicate balance of spicy heat, zesty tang and the added fragrance of lemongrass, the clear sauce was also notably sweeter than usual, though not overwhelmingly so. Spooned over fork-tender sea bass flesh with nary a hint of fishy odour, it's a winning combination that will keep you going back for more. The profusion of exotic Thai flavours from the dishes and emphasis on the aroma make it one of the coveted Thai restaurants around. 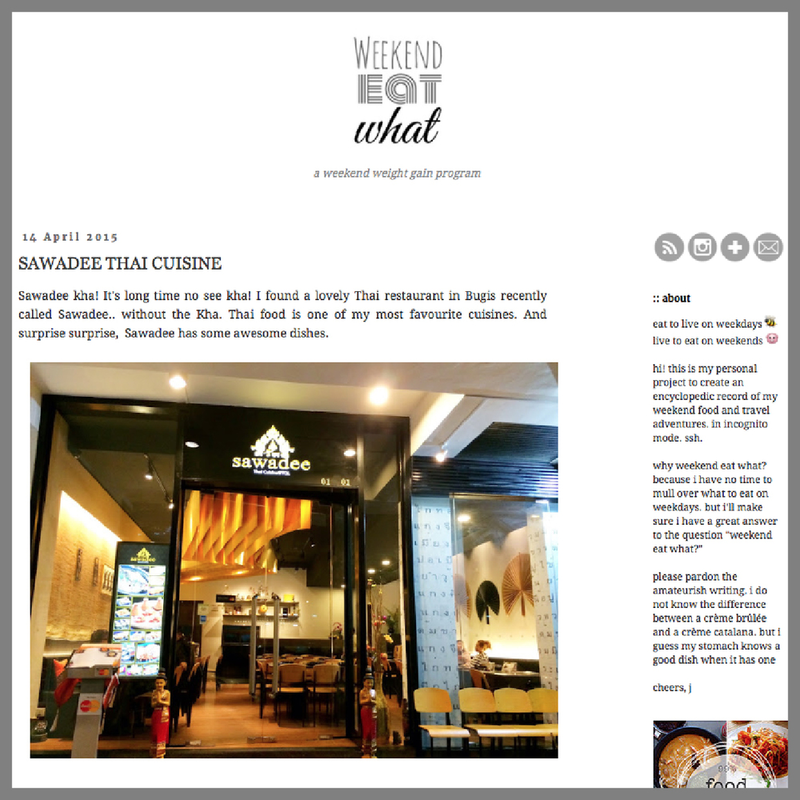 Copyright©2013 Sawadee Thai Cuisine. All rights reserved.